Get the Best Deals by booking direct! 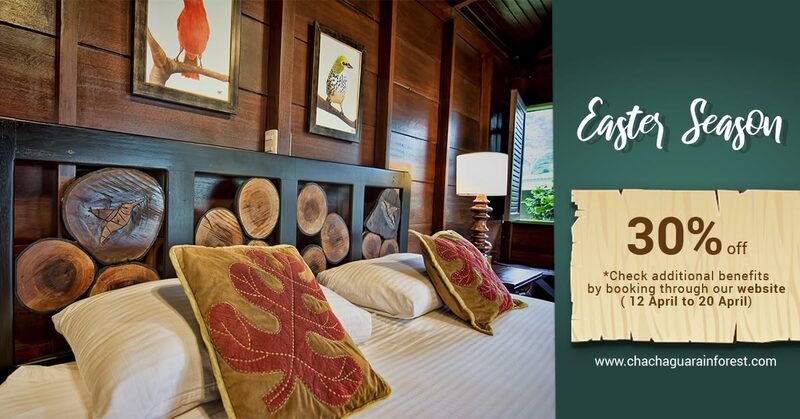 All reservations booked through our website will enjoy: daily breakfast, 20% discount on food and beverage consumption, free Wi-Fi & parking, a complimentary guided sustainability tour, and free access to a 3 km trail in our rainforest. In addition, receive a 20% discount on our on-site tours: horseback riding, night walk or bird watching tour; or 15% off on off-site activities: canopy tour, hot springs entrance, or hanging bridges. BOOK THORUGH OUR WEBSITE AND ENJOY MORE BENEFITS! 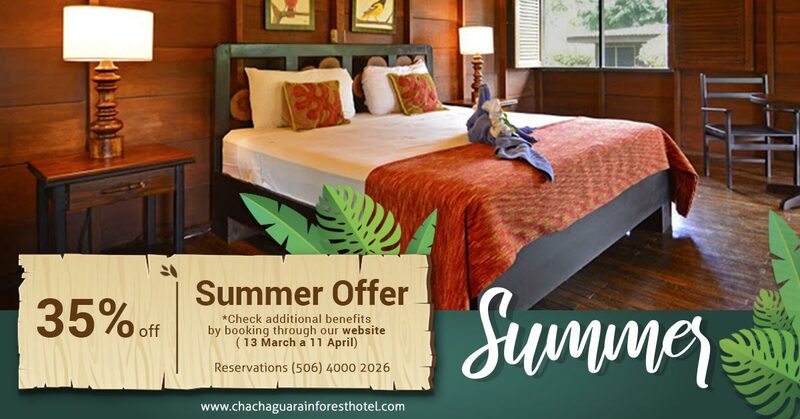 Stays during May and June include: daily breakfast, 10% discount on food and beverage consumption, free wifi and parking, unlimited access to a 3kms trail in our tropical forest. Besides, a free guided nature walk tour, enjoy a 20% off in our on-site tours: horseback riding, night tour or bird watching tour, and 15% discount in off-site activities: canopy tour, hot springs or hanging bridges tour. 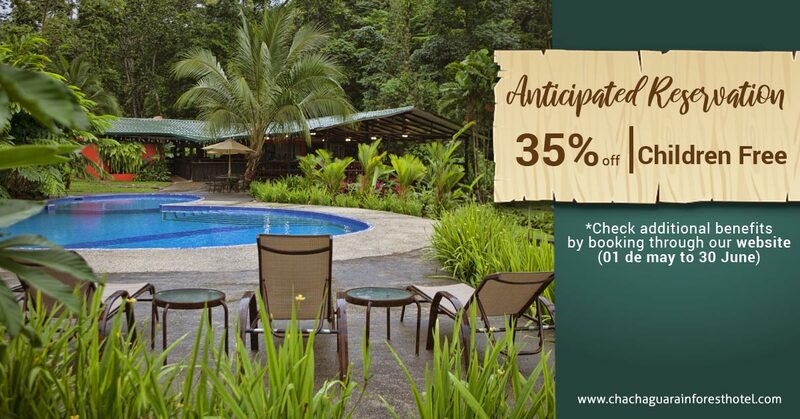 Chachagua Rainforest Hotel & Ecolodge is located in a beautiful jungle paradise close to Arenal Volcano. Critically acclaimed by trusted travel publications, we are the premier rainforest destination in Costa Rica. From the moment you arrive you will be transported into the magical, exquisite enchantment of our unique jungle resort. In our Costa Rica rainforest hotel, you are guaranteed to experience first-class service, beautifully appointed rooms that blend with nature, and high-quality cuisine featuring produce from our own organic pastures. Exceptional eco-adventures set in stunning settings will suit all ages and abilities. Welcome! 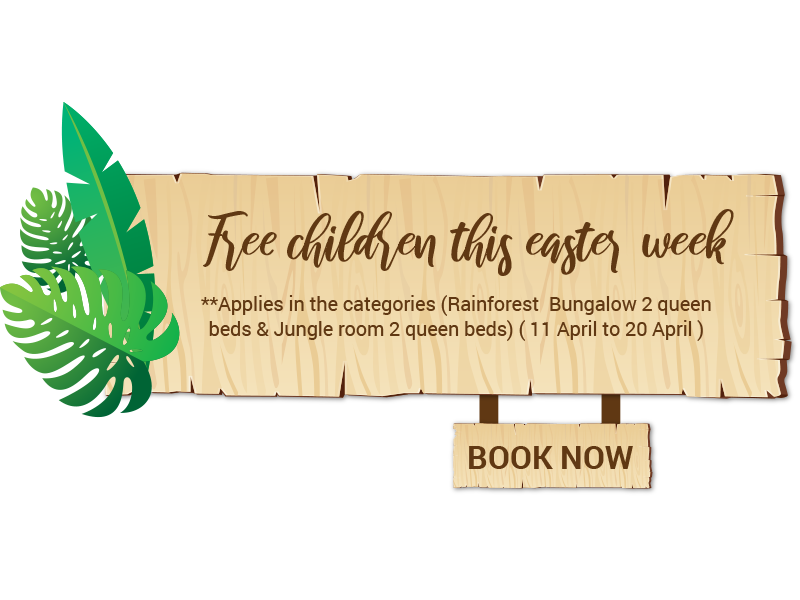 See the latest Special Offers & Packages available at our spectacular rainforest hotel. The Costa Rican rainforest activities are endless at Chachagua Rainforest Hotel & Ecolodge. Chachagua Rainforest Hotel & Ecolodge offers 28 comfortable rooms in harmony with nature. Welcome to our jungle-inspired restaurant that celebrates the customs and cultures of Costa Rica! Chachagua Costa Rica Rainforest Hotel & Ecolodge is the perfect place to stay at Arenal Volcano for every traveler – couples seeking a romantic getaway, families wanting a child-friendly hotel, or friends enjoying a fun adventure together. Chachagua Rainforest Hotel & Ecolodge delivers experiences to last a lifetime. Enjoy luxury and comfort in our Deluxe Bungalow Suites, Rainforest Bungalows and Jungle Rooms, featuring private outdoor decks, lounge areas, and hammocks. Delight in ultimate relaxation while watching and listening to the beautiful sounds of the Costa Rican jungle. My sister and I had a wonderful stay here and we’ll definitely be back someday. The staff was extremely welcoming and our horseback riding guide was wonderful. I highly recommend taking advantage of the trails they have marked as they are breathtaking! Excelente lugar perfecto para llegar y quedarse en el hotel y no salir, a 20 minutos de la fortuna. The setting is magnificent, if you visit Costa Rica nad don’t stop here, you are getting short-changed. Rooms, awesome, staff – very friendly, setting, perfect, be sure and meet Christian, the naturist who will give you a tour of the jungle, which is where this very cool place is. Edgar the manager, was very accommodating. Bel endroit, très retiré, attention le service est un peu léger, pas de coffre dans les chambres qui sont très jolies et pas de renouvellement de serviettes. A 30 mn de la fortuna et 1h des hangings bridges. A nice place to get away for some relaxing in the rain forest. Miguel at the reception was very helpful booking some activities for us. Cecelia can cook up some of the most delicious dishes sourced from the farm nearby! Discover the premier Costa Rica rainforest hotel located in a jungle paradise close to Arenal Volcano. Chachagua Rainforest Hotel & Ecolodge is located in a beautiful jungle paradise just 10 miles from La Fortuna, Arenal Volcano. Copyright 2017 - Chachagua Rainforest Hotel- All Rights Reserved.